An unringed Osprey was fishing Pwll McAlpine (the small pool on the Glaslyn upriver from the sluice gates at Porthmadog) between 5.30 and 5.37 this afternoon. Comparisons with photographs taken from the nest site three miles upriver indicate that this may have been the new Glaslyn male on a fishing trip. (He has a short primary feather (p8) on his right wing). He didn’t dive once during his visit, just one aborted dive when the shoal of Grey Mullets that he was targeting were spooked at the last minute. 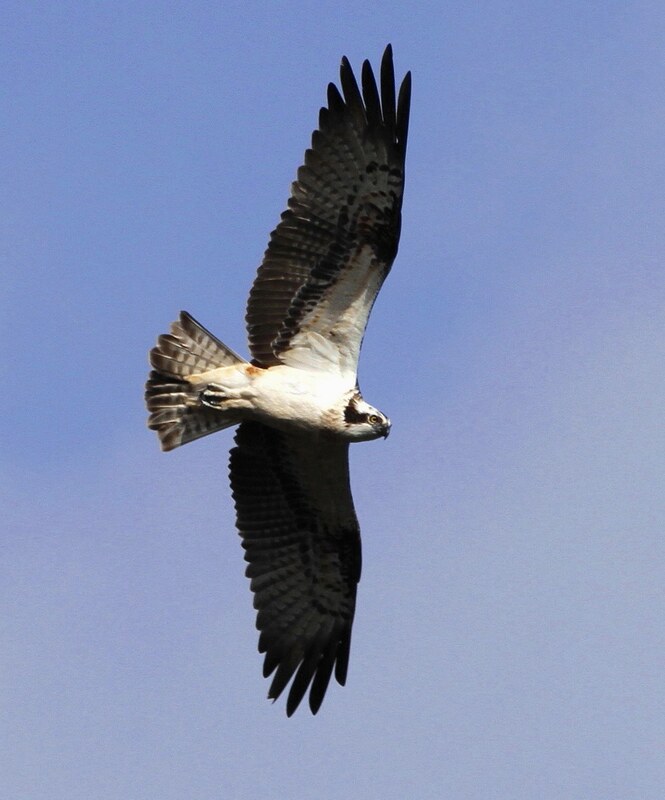 An Osprey has been seen a few times in the last week fishing this stretch of the Glaslyn in the late afternoon or early evening. This was a favoured fishing spot of 11(98). It’s good to see that the new Glaslyn male has also found this rich fishing ground. He’s learning quickly.